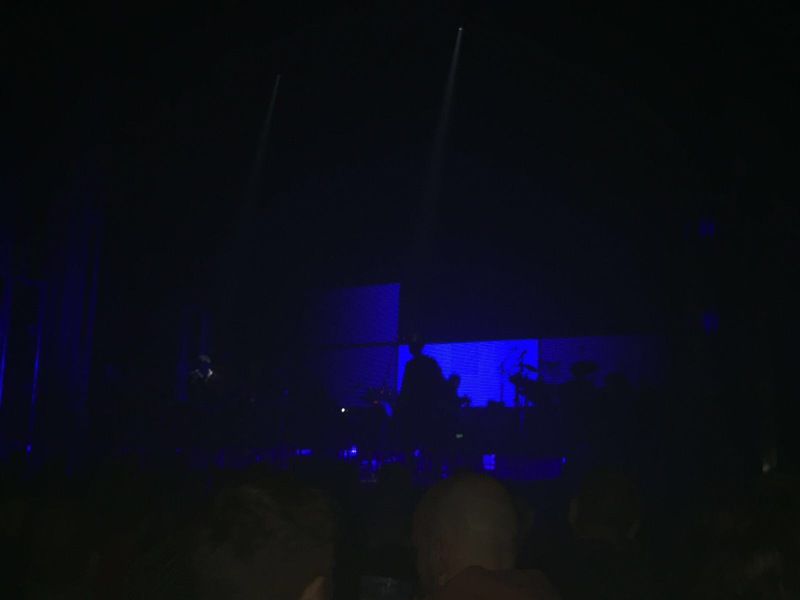 Last night I got to witness Massive Attack for the first time in my life and all I can say was I left greatly disappointed. This was by no means the fault of the band but solely down to the venue. After the Wu Tang Clan gig last June, I vowed never to go back due to the poor sound quality ruining the gig. 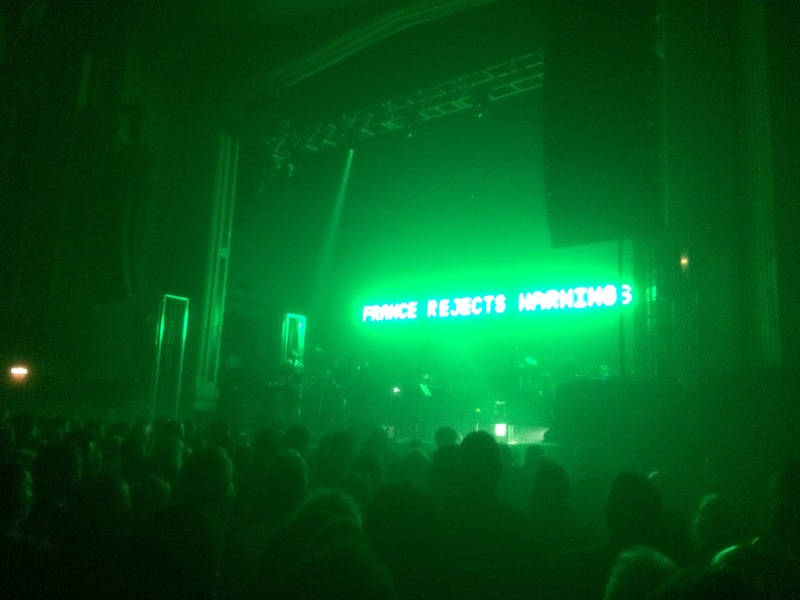 However, due to the attraction of seeing Massive Attack for the first time, the draw was to big not to go. We got in just in time for the band coming on to a rapturous applause. The set up, dark and moody, creating an initial buzz in the audience. Therefore it was such a shame as the band stated to perform that the vocals sounded muted. It was clear from the start that nothing had changed regarding the sound issues that’s always plagued the venue. The low key vibe, muted crowd and poor sound quality didn’t really leave until until about halfway through the gig when the band played “Angel” and “Interia Creeps“. There was more of a reaction from the crowd then but it soon faded again. The other aspect of the gig that got the crowd captivated was the political visuals used in their backdrop. They posted a mix of headlines about the refugee crisis, as well as the kind of thing you would find the Kardashian generation getting excited about. All very relevant in today’s world as what we determine as “news”. This lifted the atmosphere slightly but there was still something lacking from them. 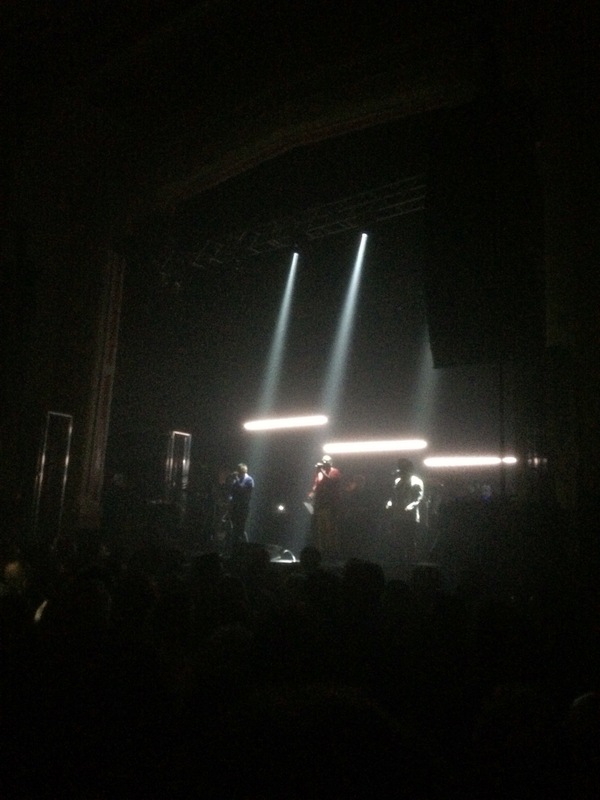 The only notable highlight from the night was when the band debuted their new single, which featured Young Fathers. As the Edinburgh trio bounced on stage and burst into “Voodo Is in My Blood” the place lift again. As the band disappeared in the darkness everyone was eager for the encore. We were all hoping for “Unfinished Sympathy” and “Safe From Harm” but the band had other ideas. They came on and didn’t play either much to the dismay of the crowd. Overall, I feel that if this gig was in the Barras then I wouldn’t have been so disappointed with the outcome. However, after this showing its safe to say I most defiantly won’t be back to the O2 Academy!